There are several types of dietary fats you need to know about in relation to improving blood cholesterol levels. Why are some fats bad for cholesterol and other fats considered to be good for cholesterol? That's right, saturated fat and trans fats contain dietary cholesterol, but more importantly, these bad fats are also the food that the body loves to make cholesterol from as well. So, removing the fat off your meat, can greatly help to reduce your bad - ldl - blood cholesterol level. Trans fats have been found to be the most dangerous fat for cholesterol levels to date. Trans Fats raise total cholesterol levels, raise the LDL bad cholesterol and lower the HDL good cholesterol. It is believed trans fats can double the risk of coronary disease in women through it's effect on cholesterol. Trans fats are intentionally made in our foods - hydrogen gas reacts with oil under pressure in food processing to form the trans fats which increase the shelf life of the product. Trans fats can be found in cookies / biscuits, crackers, icing, potato chips / crisps, corn chips, margarine, microwave popcorn. Unfortunately, for trying to control cholesterol, trans fats and the amount of trans fats are not normally shown in the ingredients listed on products. However, on a cholesterol controlled diet, these products - except for perhaps small amounts of margarine - are seldom consumed. So for those of us with a cholesterol problem, our low cholesterol diets protect us from them anyway. This page is about dietary fat and the part such fats play in the production of human cholesterol. 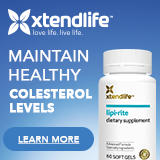 Human cholesterol is also a fat, and we have several different kinds of cholesterol fats in our bodies. So be aware, that just as some dietary fats are good and bad, some of our cholesterol fats are also good and bad. Dietary fat is NOT the same thing as human cholesterol fat.